America for Bulgaria Foundation announced the visit to Plovdiv of Lee H. Skolnick and a team of architects and designers from New York City based LHSA+DP. 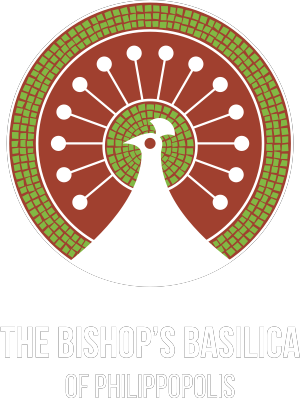 Mr. Skolnick was engaged by America for Bulgaria Foundation to develop the Interpretive Master Plan for the Bishop’s Basilica of Philippopolis. Skolnick’s firm brings valuable international experience and expertise to this historical project. In welcoming Lee Skolnick and his team to Plovdiv, Alexander Dardzhikov, the Deputy Mayor of Culture and Tourism in Plovdiv Municipality said, “I am pleased that the Bishop’s Basilica of Philippopolis project will benefit from Skolnick’s international experience. The Bishop’s Basilica is an important initiative which will attract tourists to see the wonders Plovdiv has to offer. The Municipality’s partnership with the America for Bulgaria Foundation is one founded on a shared commitment to celebrate what makes Plovdiv and Bulgaria special.” The Deputy Mayer expressed his appreciation to the America for Bulgaria Foundation for its ongoing support which will contribute to the economic success of the city for years to come. Lee Skolnick and his team are not new to Bulgaria. Skolnick was the architect for the first interactive children’s museum in the Balkans, Muzeiko located in Sofia. Since opening in late 2015, Muzeiko has welcomed more than 250,000 children and parents who engage in learning through interactive displays and games. Skolnick also donated his services to the 2017 Pirogov “Little Heroes” initiative of the America for Bulgaria Foundation, helping design the refurbishment of 65-rooms over 2,000 square meters. “I am pleased to be back in Bulgaria and particularly in Plovdiv. I visited in October of last year and saw the mosaics on the site of the Bishop’s Basilica of Philippopolis. 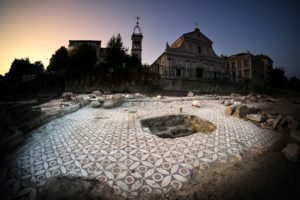 It is a rare privilege for me and my team to work with the Bulgarian architects, archeologists, and historians to tell the rich history of the site and to showcase the beautiful, ornate mosaics for those visiting the Basilica,” said Lee Skolnick.